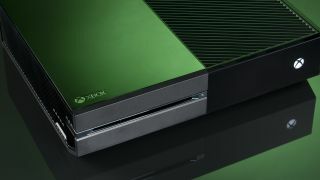 Microsoft has kept true to its promise of frequent Xbox One upgrades, and true to form the company has revealed that starting July 21 the next big update will begin rolling out to those with early access. The updates are the result of info feedback received from Xbox Feedback, a platform Microsoft launched in June by which Xbox users can send complaints, suggestions and recommendations directly to the people with the power to change things. These changes include improvements to friends, activity feed, Xbox SmartGlass, notifications and more. The last Xbox One update added helpful features like the ability to snap the achievements pane and do more with the controller's Xbox button. The forthcoming update focuses on social features, expanding the console's activity feed with a new single-column interface with more content and sharing options. This will make the feed more Facebook-like, with "likes" for other players' posts and a personal feed for every profile. In addition, the update will add a new friends area on the Xbox One's home screen for select users. The new panel will show current activities, trending games and a leaderboard. The feature is being previewed for now and will roll out in full at a later time. Additionally, users will now see the last time a friend was online. The update will also let users purchase Xbox Live content from the SmartGlass app or Xbox.com that will automatically begin downloading if your console is set to receive automatic updates. You'll now receive notifications when your controllers' batteries are low, though you'll also be able to turn off notifications entirely during video playback. And finally this update adds 3D Blu-ray playback for all users, as well as OneGuide for users in Brazil, Mexico, Austria and Ireland. Microsoft said in an email to TechRadar that its "focus continues to be on you and what you want in the product." So what else do you want on the Xbox One?